Robert S. Raymar practices in complex commercial litigation, employment litigation, trust and estate litigation, family law, trademark, copyright and intellectual property rights matters, administrative law, governmental affairs and regulations, environmental law, and tort law. Mr. Raymar was a Woodrow Wilson Scholar and Phi Beta Kappa graduate of the Woodrow Wilson School of Public and International Affairs at Princeton University, and an Editor of the Law Journal at Yale Law School. He was law clerk to Judge Leonard I. Garth of the United States District Court for the District of New Jersey and United States Court of Appeals for the Third Circuit. 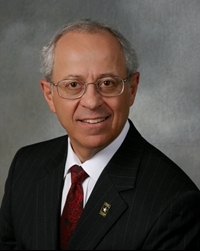 He subsequently served as Assistant Legal Counsel to the Governor of New Jersey in 1974-75, as a Deputy Attorney General for the State of New Jersey in the Division of Criminal Justice in 1973-74 and 1975-76, and as a member of the New Jersey Executive Commission on Ethical Standards in 1974-75. Mr. Raymar was a Visiting Lecturer at the Woodrow Wilson School during 1976 and 1977, and served on the Board of Trustees of the New Jersey Institute of Technology in 1980-82. He coached one of Princeton University’s Intercollegiate Mock Trial Teams in 2000-03. Mr. Raymar was a New Jersey Delegate to the Democratic National Convention in 1972, 1984, 1992, 1996 and 2016. He was a member of the National Executive Committee of the Yale Law School Association in 1993-98, and was twice President of the Yale Law School Association of New Jersey, in 1980-81 and 1992-93. Mr. Raymar was a member of the National Governing Council of the American Jewish Congress in 1998-08, and Chair of its Constitution Committee in 2007-08. He was Chair of the Board of Directors of the Somerset Hills YMCA in 2008-10, was a member of the YMCA Board from 1997-2014, and is currently Chair of its Community Advisory Board. He has been a member of the Board of Directors of The Leatherback (Turtle) Trust, Inc. since 2000, and is its intellectual property counsel and a member of its Audit Committee. He has been a member of the Board of Directors of the Center for American Progress Action Fund since 2017. Mr. Raymar is a member of the Bars of New Jersey, New York, of the federal trial and appellate courts in both states, and of the Supreme Court of the United States. Mr. Raymar has been selected for inclusion in New Jersey Super Lawyers for 2005-2006 and 2011-2019. Woodrow Wilson Scholar of Princeton University. Editor, Yale Law Journal, 1971-1972. Law Secretary to Honorable Leonard I. Garth, U.S. District Court, District of New Jersey and U.S. Court of Appeals, Third Circuit, 1972-1973. Author: "Criminal Dispositions for New Jersey," 8 Seton Hall Law Review 1, 1977; "Judicial Review of Credentials Contests: The 1972 Democratic National Convention," 42 George Washington Law Review 1, 1973; "Prison Mail Censorship and the First Amendment," 81 Yale Law Journal 87, 1972. Assistant Legal Counsel to Governor of New Jersey, 1974-1975. Deputy Attorney General of New Jersey, 1973, 1975-1976. Visiting Lecturer in Public and International Affairs, Woodrow Wilson School, Princeton University, 1976-1977. Member, New Jersey Executive Commission on Ethical Standards, 1974-1975. Board of Trustees, New Jersey Institute of Technology, 1980, 1981-1982. National Governing Council and Commission on Law and Social Action, American Jewish Congress, 1998-2005, 2007-2008. President, 1980-1981, 1992-1993, Yale Law School Association of New Jersey. Member, Executive Committee of National Yale Law School Association, 1993-1998; Treasurer, 1997-1998. Coach, Princeton University Intercollegiate Mock Trial Team, 2000-2003. National Chair, Yale Law School Graduates and Friends for Clinton, 1991-2000, 2007-2008, 2015-2016. Delegate, Democratic National Convention, 1972, 1984, 1992, 1996, 2016.